Want to know how to make a GIF? Creating GIFs from videos is very popular among Internet users. The Web is overflowing with different GIF images to suit every taste – you can’t help noticing them on social networks and Internet forums. What is an animated GIF? Unlike the more common still images, an animated GIF is an image file that plays a constantly looping animation. In other words, it’s a silent mini-movie used mostly for comic effect. Many people add these GIFs to Internet discussions when they feel a particular animated image can express their feelings much better than words. It can be a very trenchant and effective way to get your message across. The question is: how to make an animated GIF? It seems that many people would like to make GIFs from their favorite movies or cartoons. So, what’s the easiest way to turn your video into GIF and become a GIF creator? 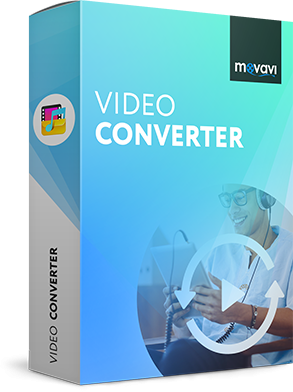 The answer is that you need a video-to-GIF converter like our Movavi Video Converter! 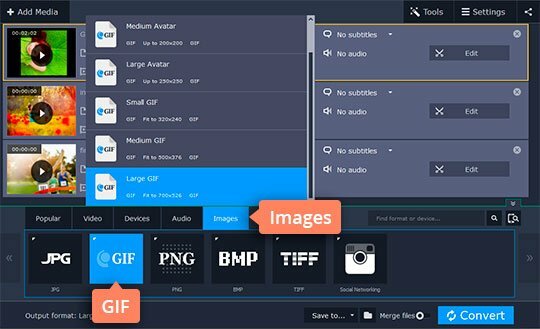 With this handy GIF generator, you can make your own high-quality animated GIFs out of videos to entertain your friends and stand out from the crowd. Download the program and follow these simple instructions and you can quickly learn how to create a GIF. Download the converter from the Movavi website and follow the installation instructions. 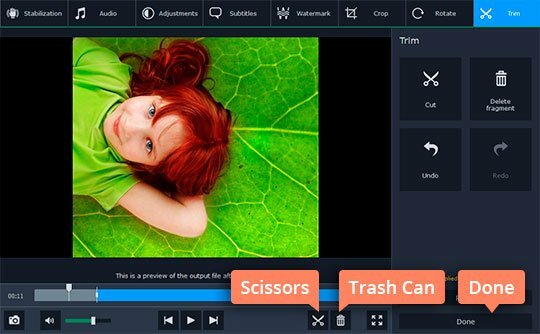 Click the Add Media button, then Add Video and choose the file you want to convert to a GIF. Click the Edit button to the right of the imported file. In the editing window that pops up, move the marker under the video to specify the point at which your video will be first cut. If you just want to cut the clip in two, click the Scissors icon, select the fragment you don't need for the GIF, and hit the Trash Can icon. If you want to cut one or more fragments in the middle, mark the desired cutting points by clicking the Scissors icon. You can also drag the cutting points around on the timeline. Select the segment(s) you want to delete and click the Trash Can icon. Hit Done when you're satisfied with the resulting footage. Click the Images tab and choose GIF. Next, specify the target size of your GIF. If necessary, use the Cogwheel icon to set the frame size, frame rate, resize method, and quality. Now just click Convert and wait for the process to be completed. 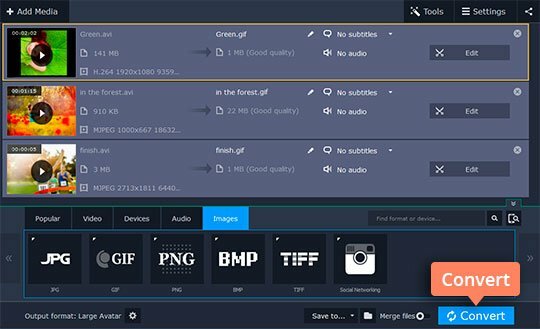 Once the conversion is done, the folder containing your GIF files will open automatically. 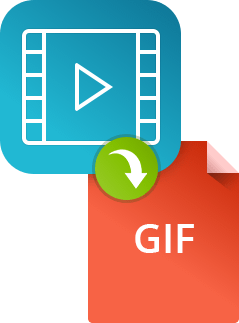 Now you know how to convert your video to GIF. 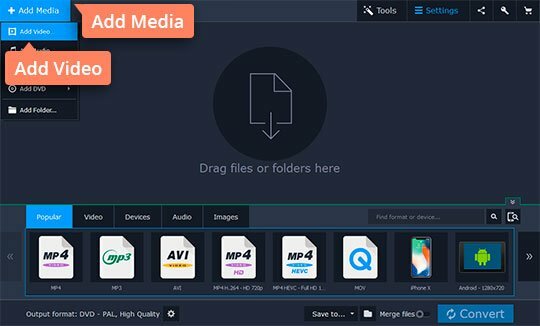 With Movavi Video Converter, making GIFs is so easy! Our program supports all popular video formats (AVI, MP4, WMV, etc.) – it’s a powerful GIF maker that will help you bring your creative ideas to life!